A delightful Stowe house is the epitome of all details considered. THE CONTENTMENT AND ENTHUSIASM COME through clearly and immediately. 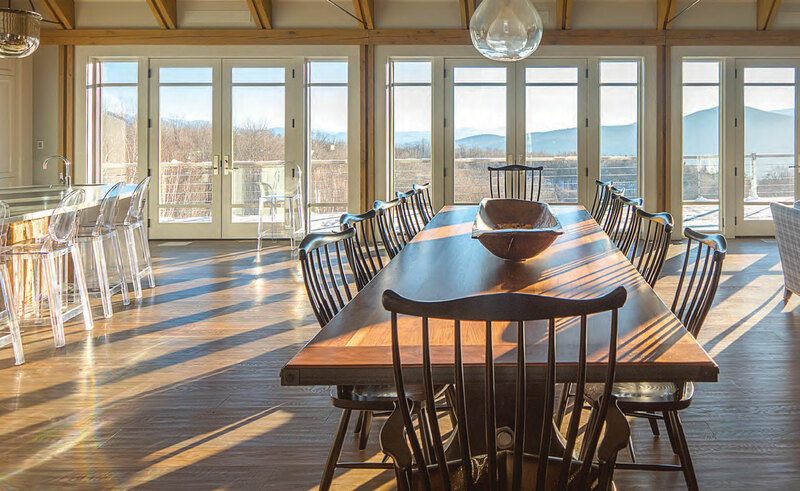 Judy and Matt Beech-er are without a doubt very pleased with the results of their one-and-a-half-year collaboration with John Steel, owner and president of Steel Construction, also in Stowe, on the couple’s gorgeous, custom home. 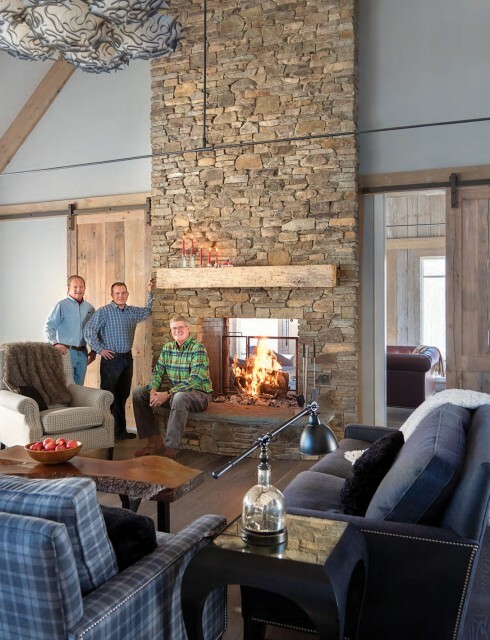 Completed in November 2014, the 6,000-square-foot house sits on eight “amazing acres with views of a beautiful pond,” which is what first attracted the Beechers to the property. They then took their time in carefully planning and implementing all that was most important to them in terms of optimum functionality, how spaces were to be used, and aesthetics. Judy and Matt had a very clear vision of how the house was to be built to best suit their needs and those of their extended family, friends, and guests. And that’s where John Steel came in. “John is lovely, warm, and friendly,” says Judy. “But most important, he understood exactly what we wanted.” Judy goes on to describe how she and her husband each brought different strengths to the vision—and the actualization of that vision—and how that included some very specific requests. “John was willing to do that with us,” she recounts gratefully. A self-proclaimed “queen of minutiae,” Judy is also quick to admit that sometimes her ideas needed to be reined in. That’s when John would say, “that just can’t happen!” Judy laughs. Call (802) 253-4572 or visit steelconstructionvt.com.